I'm going to India...in theory anyway...to feed the hungry, educate the children and add local whole foods to the daily rice at the school! How cool is that?! I'm talking about Gingham Project. 100% of your donation be used for educating lifting children out of poverty. Gingham Project is completely non-profit. Malnutrition is a serious factor in the lives of many rural children. We plan to add essential nutrients to their daily rice. We will do this by adding delicious, locally grown, whole foods to their school provided meal. In order to pay for this recurring expense, we need to rely on donations from you. One time, monthly, big or small…all donations are greatly needed and tax deductible. 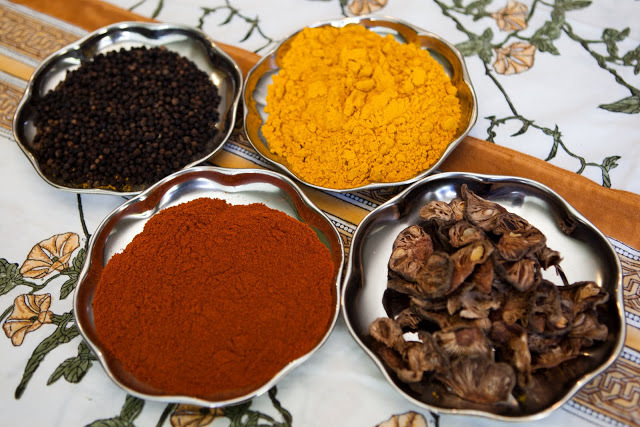 Make a donation today, the simple way…a bottle of spice you can use every day.